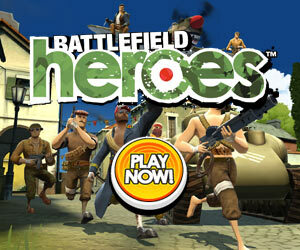 Get Free battlefield Heroes PC Game Download. All you have to do is create, signup & download. 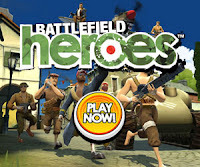 Free to play and with over 7 million registered users, Battlefield Heroes pits players against each other in frenetic multiplayer action in a fast-paced, 3rd person cartoon shooter. Join the Royal or National Army and create your own customizable hero. Get in the middle of the action with the Soldier class, lead your forces with the heavy-hitting Gunner, or sneak up on unsuspecting prey as the sneaking Commando.